Big inspiration for spring and summer hairstyles 2016 delivers up to 50 hairstyles for short hair. 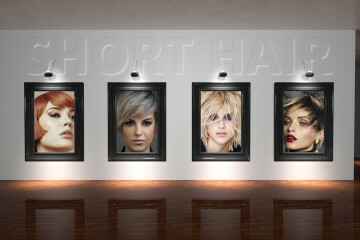 Check out the new gallery for the women’s short hairstyles. You might be an obstinate short-hair-woman and you can not even imagine other ladies short hairstyle or women’s haircut on your hair. There may be a boredom to your old long hairstyle which drives you to short haircut and possibly necessity because you wear out your hair so much that you could do nothing else than cut your hair. Either way, here are 50 hairstyles for short hair as a tip for this spring and summer 2016: Cut, dye and stylize! There is a lot of ideas and for the most creative women’s short hairstyles for spring and summer 2016 by which I stop. 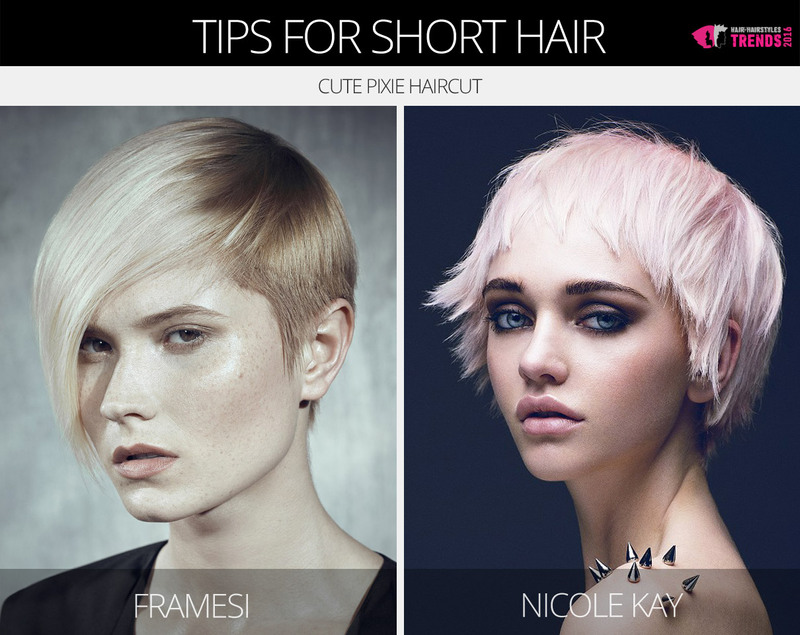 Short hairstyles for women can be feminine and imaginative in unisex style – suits us both. Those of us that we have a nice face shape and beautiful skin, we should not be afraid to cut hair. The short haircut will surely suit us. Come take a look at the short haircuts, interesting styling for short hairstyles and inspiring highlights and colours for women’s short hairstyles. 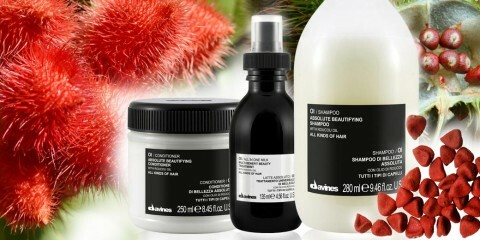 Short hair comes from the collections of prestigious hairdressers. Check out 50 new tips for spring and summer hairstyles 2016 which were presented in hairstyles collections prepared by the best world known hairdressers. Undershaved hairstyles in womens’ hairstyles are in. What does it mean? To be honest, especially courage. Although it is not big deal when a short hairstyle because shaved parts can grow into standard short lengths quite quickly. Undershaved short hairstyles are fashionable, they usually are shaven side parts until the skin or almost on it, and the impressive longer hair above the shaved spots. Therefore it is possible to combine undershaving even from shag hairstyle or use the shag haircut and shag styling. The hair, of course, covers the shaven parts and you can do magic with dyeing as well. Women’s short haircuts from collections Framesi and Mahagony for spring and summer 2016. Short bob is even more popular this season. It is incredibly easy to maintain and even though some of us can not imagine to have such a hairstyle, for other women is a way of absolute beauty. Shorter bob can revive with the dye and also the fringe offers a large variety. But the volume which can change bob shape completely. 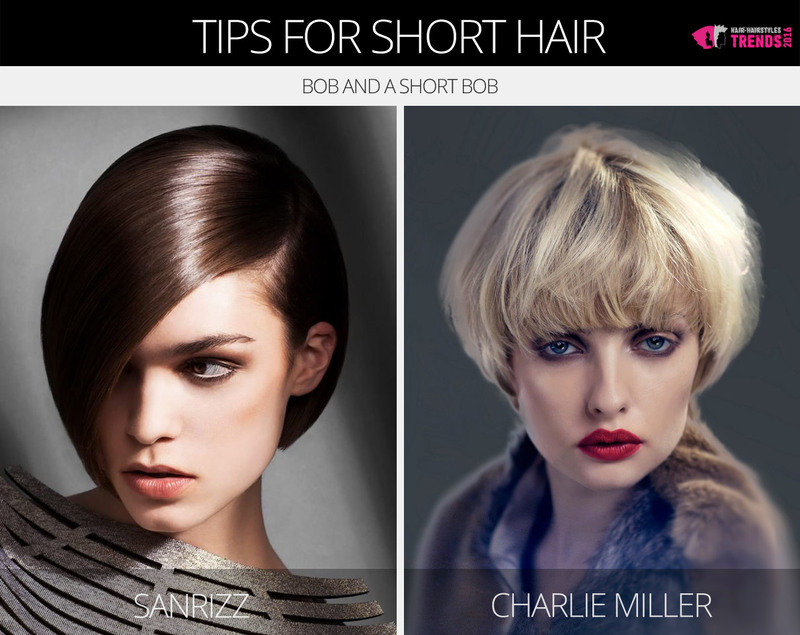 Short hairstyles for women in bob style from collections by Sanrizz and Charlie Miller. 50 hairstyles for short hair are refreshed by “trolls” pixie hairstyles. Very short fringe and colours suit them but also the shag styling. Be in “troll” style it is a prank which means boyish cut with playfull girlish spirit. It makes the star from young ladies and it rejuvenates the older one. Pixie haircuts for short har from collection by Framesi and Nicole Kay. Ash blond and gray hair are in. Tthis experiment is less painful in a short hairstyle and certainly it is cheaper than long hair. Do not be afraid you won’t get older. Vice versa. Gray colour in hair is a hot hit of the season. Who knows how does long it take, and when it returns. So go for it. It looks gorgeous. 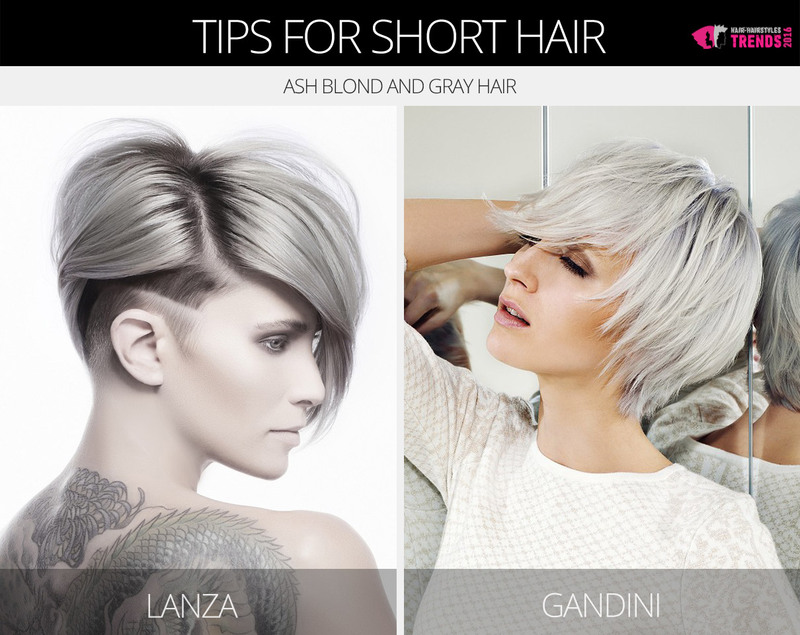 Short gray hair in hairstyles by Lanza and Gandini.